This morning I was greeted by these little beauties in the garden. I’m mildly familiar with the destroying angel and the death cap as Britiain’s only truly deadly mushrooms. Initially I thought they might be the former but on closer inspection (or rather getting the book out) I think they’re common ink caps, which it transpires are nearly as bad. 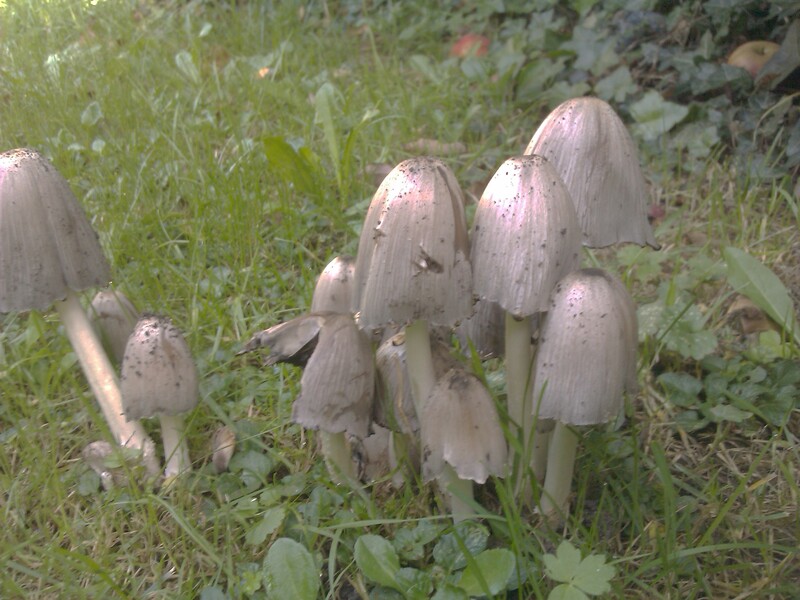 Apparently the ink cap is quite edible, unless you consume any alcohol. If you do then the reaction produces a very nasty poison that has resulted in death. This can happen anything up to three days after consuming the mushroom. I won’t be putting these in my soup for lunch then, especially as I’ve got a table booked in the The Dog for this evening! This entry was posted in Life on 2013-09-26 by Tom Fosdick.